Develops flexibility and strength for dance, fitness, gymnastics and rehab. Ground Shipping: $50.00. Please use the quote request when purchasing 4 or more units for possible savings on shipping. 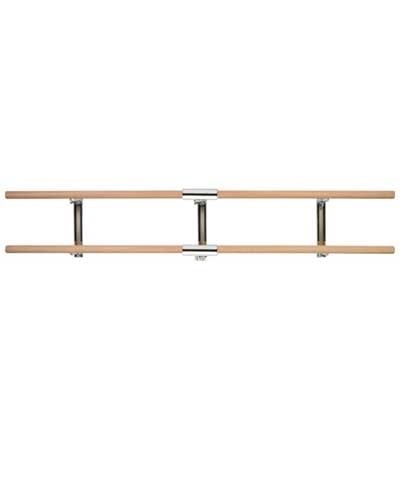 This 12FT Dance, Fitness, Gymnastics, Rehab or Stretching Double Adjustable Wall Ballet Barre / Bar features two 1.75" diameter Ash Wood Bar and Chrome Plated adjustable Wall Brackets. Perfect for any Dance Studio, Gymnastics Center or Home Studio. Bracket spacing: 2 @ 64" apart from center with 8" overhang beyond each bracket.